2 So what is dandruff? 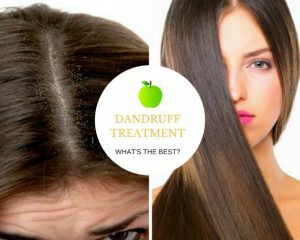 4 Dandruff vs dry scalp – what’s the difference? Everybody knows what those pesky, white flakes in your hair are. But until you’ve actually experienced dandruff first-hand, you probably do not realize how negatively it can impact your confidence and self-esteem. 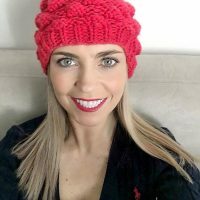 It may seem like a small issue in the scheme of things but this common condition can be embarrassing and even uncomfortable at times, with around 50% of men and women experiencing it at some point in their lives. 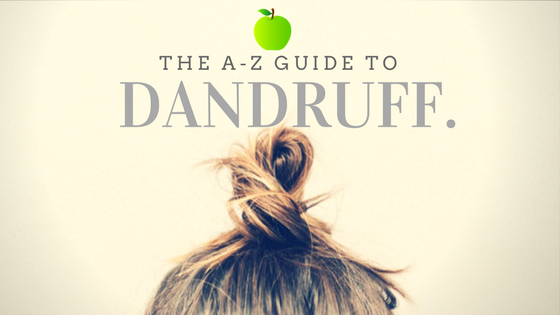 You’re likely reading this because you’re suffering from dandruff right now, so we’ve put together this guide to give you everything you need to know about the condition. 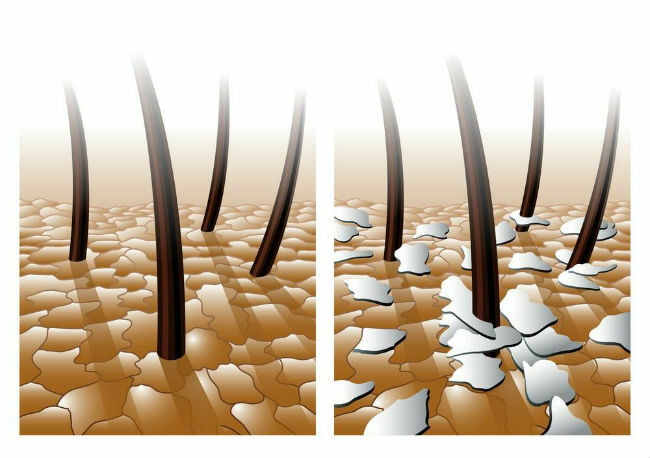 In a nutshell, dandruff is a skin condition that causes the scalp to flake and sometimes itch. 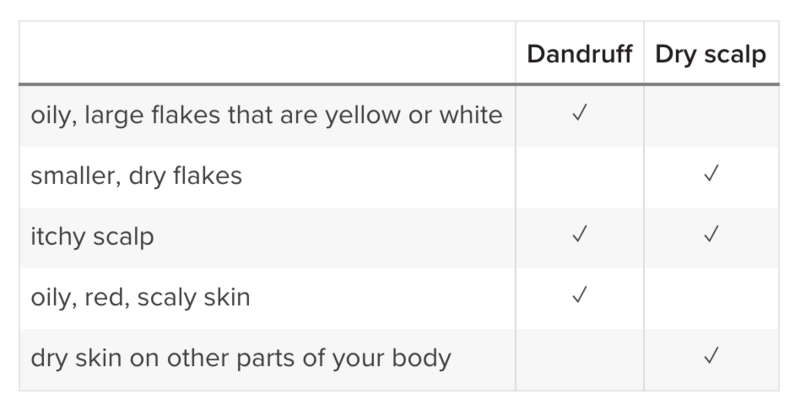 Dandruff will appear very tiny white, yellow or gray flakes close to the root of your hair. In severe cases, when you scratch, shake your head or ruffle your locks, these small flakes can fall from your hair – do not look great if you’re wearing dark clothing! No matter the severity, dandruff can generally be dislodged quite easily, such as with a fine toothed comb or a blow dryer, but this will not stop it from coming back. Washing your hair can also provide an instant solution but by the end of the day or even within a couple hours you will notice those flakes making a comeback. There is sometimes a mild itching associated with dandruff, this occurs when the scalp is on the drier side of the spectrum or when the buildup of oil and flakes starts to irritate your scalp. Scratching will cause more flakes to fail, can make your scalp sore or sensitive and does not generally look great when you’re scratching that itch out in public. As miserable as this sounds, dandruff and its appearance can be managed and treated quite efficiently – it’s all about finding what works for you and your skin. 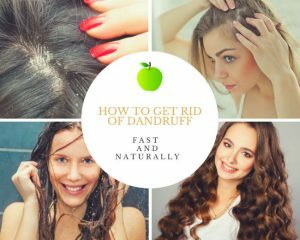 Although common, the exact cause of dandruff has not been pinpointed just yet and believe it or not, dandruff is not always caused by a dry scalp. This may be an initial trigger that then develops into dandruff but, in the majority of cases, it is an overproduction of oil or sebum on the surface that results in this condition. Losing dead skin cells is a normal bodily process, but when you have dandruff those dead cells are produced and shed a lot quicker. The cells then clump together to form those white flakes all dreads so much. Depending on the severity of the dandruff this ranges from a few barely noticeable flakes to very obvious and copious flaking. One of the main causes of dandruff is something called seborrheic dermatitis. 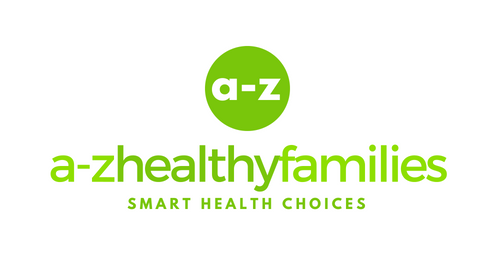 This form of dermatitis is a common condition that exhibits redness, scaly skin and dandruff flakes which mostly affects the scalp but can flare up on the chest, face and back as well. A huge contributing factor of dandruff caused by seborrheic dermatitis is the natural fungus Malassezia globosa. Malassezia is present on everyone’s skin, however, only about half of us have negative reactions to it. Basically, this little microbe sustains itself on the sebum on your skin, then breaks it down into oleic acid. If you’re part of the unlucky half of the population, then you’re going to be sensitive to this acid and you’ll start experiencing dandruff. 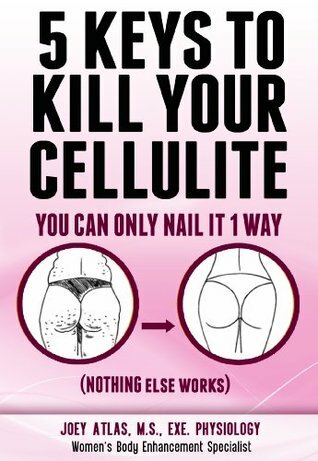 Your body goes into a frenzy of renewing your skin cells to rid itself of the Malassezia which means more dead cells and an appearance of those white and yellow flakes. If you’re unsure about whether you have Dandruff, it’s always best to get your doctor to check it out and make an official diagnosis. Psoriasis and dry scalp can be closely associated with the symptoms of dandruff and they can easily be confused for one another. You need to know exactly what you have in order for you to start treating and managing the condition. When it comes to diagnosis, the best person to consult a doctor. However, there are a few things you can look out for when it comes to spotting the differences between the dry scalp and dandruff. The main differences relate to the oiliness or dryness of the scalp. Basically, dandruff is caused by a buildup of sebum on the scalp. This creates irritation and increases cell production resulting in dandruff flakes. On the other hand, dry scalp is literally just that, the skin on your head is too dry . If you have dry scalp then you will most likely have dry skin on other parts of your body as well. As a general rule of thumb, if your hair and scalp is dry and flaking, it’s most likely dry scalp. But if you have quite oily hair, you’re more likely to be experiencing dandruff. Visually, the flakes that eat off your scalp when you’re experiencing dandruff will be bigger and lighter than those from a dry scalp. Dry scalp flakes will be much smaller and drier – this is the best way to tell what you are actually suffering from. Dry scalp will generally disappear almost overnight if you are able to deliver the correct amount of moisture to your head, whether it be through treatments, shampoos or moisturizers. 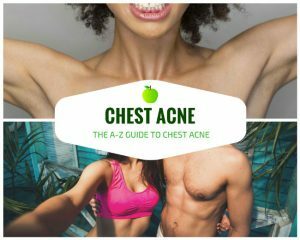 Make sure to get checked by a professional so that you are able to figure out the best course of action possible, both of these conditions require vastly different treatment . If you’re prone to dandruff, you most likely will not be able to completely rid yourself of it. However, it is quite easy to manage if you know the tips and tricks. There are lots of different options to try, so it’s all about experimenting to find out exactly what works best for your skin and lifestyle. If you’re unsure where to start, go to your doctor and have them recommend you some medicated shampoos based on the severity of your dandruff. This will help you get under control in the short term so you can reduce your stress and find the time to research into the best remedies before you start experimenting. When looking for a great dandruff shampoo that will treat your dandruff and keep your locks luscious, it can be a little overwhelming. 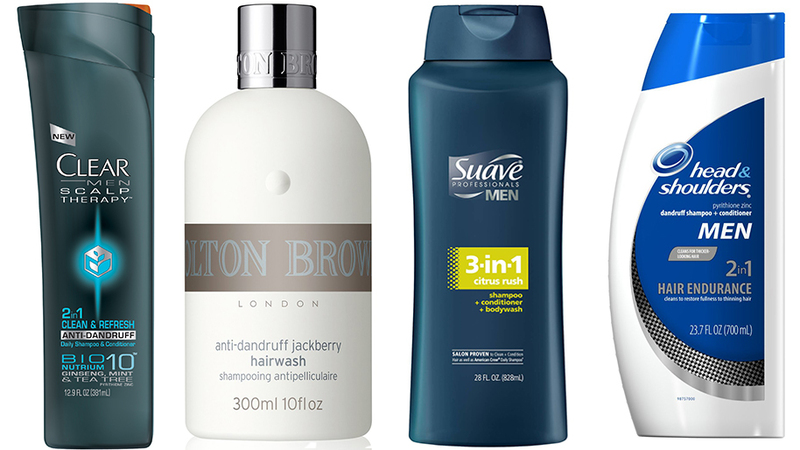 Lots of brands have medicated shampoos that claim to manage dandruff. 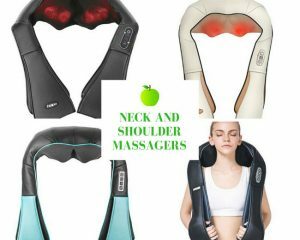 However there are a few specific ingredients you can look out for to simplify your search. This is one of the most classic dandruff shampoo ingredients, although quite harsh, this chemical strips away the flakes from your scalp very efficiently. Try not to use this one too much if your scalp is becoming irritated, but once or twice a week should not be an issue. This clever sulfide has a three-pronged approach when it comes to fighting dandruff. It is able to limit the amount of cell production in the scalp which minimizes flaking , controls itching to reduce irritation and also works as an antifungal agent to prevent Malassezia. An excellent antifungal agent that is used to treat many severe breakouts of dermatitis. The shampoos containing this ingredient can be prescribed by a doctor if your condition is extreme. Another antifungal agent that also fights off bacteria to keep your scalp healthy. A great ingredient to look out for in an excellent long-term dandruff fighter. This ingredient works to force the skin to shed its top layer of cells and then slow the production of the cells underneath. 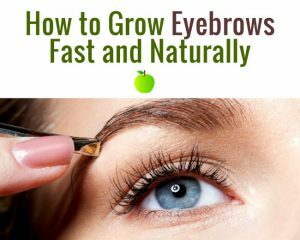 This decreases irritation, flaking and itching . Apple cider vinegar is an amazing home remedy known for its many awesome healing properties. 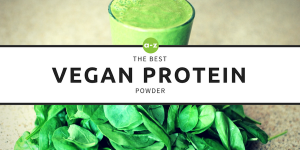 You can use it for almost everything – weight loss, lowering blood sugar, treating acne, cleaning around the home and more! And yes, you can even use it to help manage and prevent dandruff. To put it simply, apple cider vinegar is a fermented and acidic form of apples or apple cider. 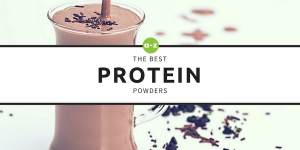 It contains antioxidants and good bacteria called probiotics, it’s also antibacterial and anti-inflammatory. This means that it can work effectively to kill off fungus and bacteria on the scalp and soothe any irritation from the dandruff. And the best part? 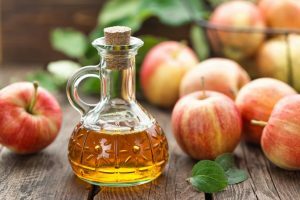 Apple cider vinegar is completely chemical-free, so if you want to use it regularly there’s no going to be any repercussions. Wash your hair thoroughly, make sure to massage the scalp to remove any excess oils. You want to make sure you pay close attention to this step, the bare scalp means the vinegar will be more effective. 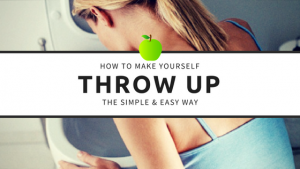 Put some apple cider vinegar in a bowl with a splash of warm water. You will not need too much, just enough to cover your scalp. Section your hair into parts and using a cotton ball, pat the vinegar onto the exposed scalp. Repeat this step until all parts of your scalp have been covered with the vinegar. Put extra on the areas of your scalp where your dandruff is most prevalent. Gently massage your scalp with your fingertips for a few minutes to ensure you’ve opened the pores and thoroughly coated your head. Leave on for an hour, then rinse off with warm water. Skip the urge to shampoo at this point, your scalp does not need the extra clean. If there’s one thing that can ruin a beautiful beard, it’s beard dandruff. Nobody wants to see white flakes on your shirt during a night or an important meeting, major turn-off. The root cause of beard dandruff is the exact same thing as normal dandruff, and that’s Malassezia. This naughty little fungus will live on the skin just underneath the beard and within the beard itself as it’s an excellent dark space to thrive and multiply. As you can see, it ‘s just a few ways to manage it – you just have to stay on top of your routine to banish those flakes from your majestic mane! It may sound silly and unnecessary, but a beard brush is a must-have for any bearded man out there. 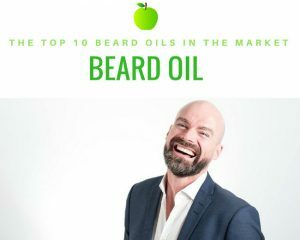 It does not only get rid of the knots, it dislodges dead hair and spreads your natural oils around, but it also helps to exfoliate the skin underneath the beard if you use the brush properly. Exfoliation is an essential step towards ridding the skin of the flakey, dead cells so that it can breathe and any treatments you use can penetrate the skin effectively. As we now know, dandruff is caused by an excess of oil – so putting more oil on is not going to help! Instead, try a beard shampoo or wash with natural ingredients like lemon and tea tree oil. Make sure to really massage the products into the skin underneath as well as the body of the beard. If you feel you’re a little dry, opt for a natural oil with no harsh chemicals to avoid causing dandruff flare-up from excessive irritation. Make sure you wash your beard regularly and thoroughly. Your beard can harbor any number of bacteria and fungus fugitives so regular cleaning is essential. 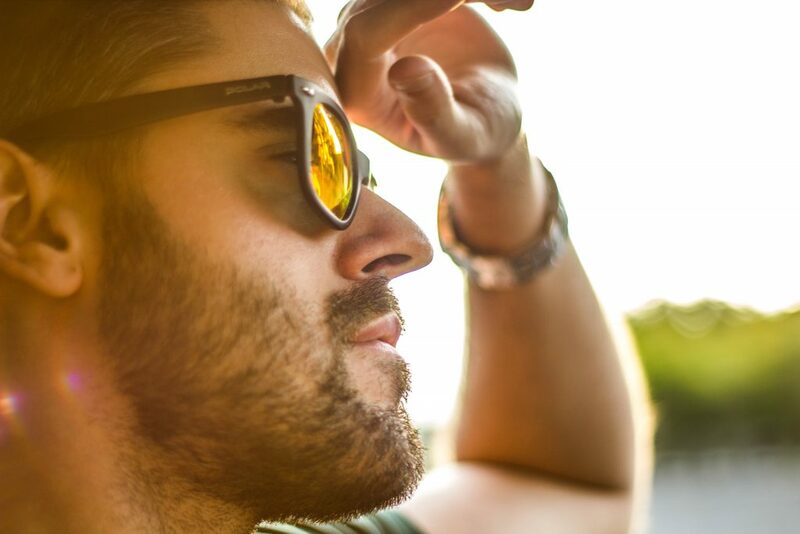 If you are going to commit to having a beard then you have to commit to the maintenance to keep it dandruff-free!